Is It Almost Normal If You Get There Abnormally? The 2000-2001 rainfall season in San Francisco, and much of northern and central California, followed a below normal path similar to last year through mid January with some parties even beginning to mention the dreaded "D" word (i.e., drought). But like last year, with clouds opened up between mid January and early March. This pushed San Francisco's rainfall to slightly above normal but it then drifted to slightly below where it stayed through the end of the season. The similarity may have been somewhat influenced by a weak La Niña that persisted through in the tropical Pacific despite predictions last summer of its demise. And also like last year it was another case of the expression that we get "normals" by "averaging the extremes". Two of the most distinguishing characteristics of the season were the lack of heavy rainfall days and a number of prolonged rain-free periods. The only day that saw more than an inch of rain was February 9 when 1.34 was recorded, at the beginning of four day period that saw 3.48 inches and the wettest two weeks of the season with 7.73 inches. Conversely, from the first of November to the tenth of January only 1.75 inches fell compared to a normal of nearly 7.75 inches. There was also a ten day period of no rain in January and a second 10 day period from late January through the first week of February. And finally the last two months of the season saw only one day of measurable rain and that was on June 25th. The common standard from which "normals" are calculated are 30 year periods at the end of each decade. Consequently, the current normal period is 1961 through 1990 for which the seasonal San Francisco rainfall is 20.52 inches as the "official" new 1971-2000 normals have not been published by NCDC. However, the average for the most recent 30 year period, 1971 through 2000, has risen to 22.58; and for the past 10 years it's a soggy 25.77 inches. It should also be kept in mind that normal should generally be thought of as a range and not a single point value. One methodology has this "normal range" to be between the 30th and 70th percentile, or in the case of San Franicsco from about 16 to 24 inches. Consequently this past season would rank in the normal range. For the most part, California's 2000-2001 rainfall season was characteristic of past La Niñas, with near normal rainfall for many portions Northern and central California. However southern California was a little schizophrenic (or is that redundant) with above normal in the LA Basin and below normal near San Diego! But maybe more important statewide was the Sierra Nevada where only about 65 percent of their normal precipitation fell and where the runoff was only about 50% of normal. However, due to the abundant rainfall over the past several seasons most of the states reservoirs are about 80 percent of their seasonal normal for the end of June. Below are this seasons totals, the percent of normal (PON) and the seasonal normals. 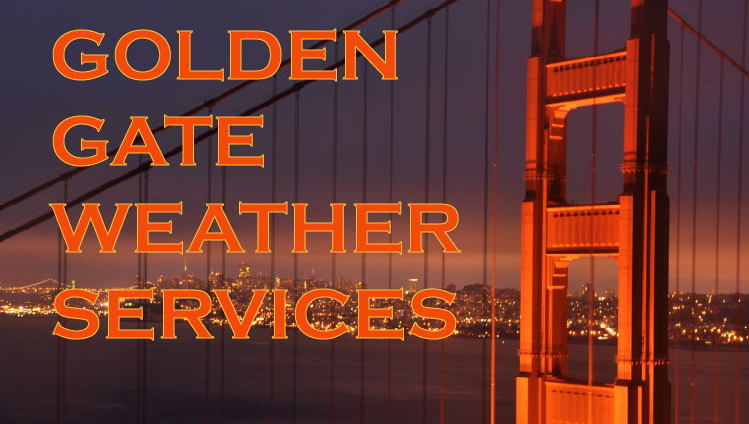 Copyright © 2001, Golden Gate Weather Services.